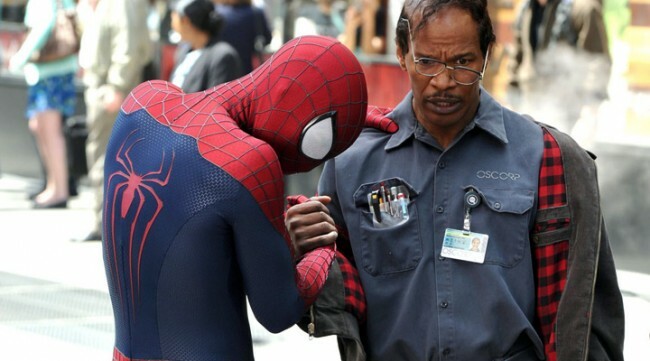 This entry was posted in Home, Reviews and tagged 2014, andrew garfield, april, aunt may, b.j. novak, campbell scott, dane dehaan, denis leary, electro, embeth davidtz, emma stone, felicity jones, film, green goblin, gwen stacy, harry osborn, jamie foxx, marc webb, marton csokas, marvel, max dillon, movies, oscorp, paul giamatti, peter parker, review, rhino, sally field, sonnet, sony, spider-man, stan lee, the amazing spider-man 2, the amazing spider-man 2 review. Bookmark the permalink.